If you’ve seen Logan this week, then you already know one of the best parts of the pretty great film is newcomer Dafne Keen stealing the show as a member of the X-23 project named Laura. To say there is a high likelihood that a lot of little (and maybe not so little girls) will become enamored with the idea of a female Wolverine-like character is probably an understatement. Yet, in the comics, Laura has existed for over a decade in various forms, and with the X-Men film franchise indicating they aren’t done with her yet, there’s a lot of places to pull from. Here I’ve put together a comprehensive look at where Laura, also known as X-23, has been and where she’s going in the comics. While there’s no indication much, if any of this will be used as the basis for her film appearances (especially Logan‘s own desire to play loose with the source material), I feel like there will be a lot of desire to find out more about this particularly interesting part of X-Men lore, so here we go! 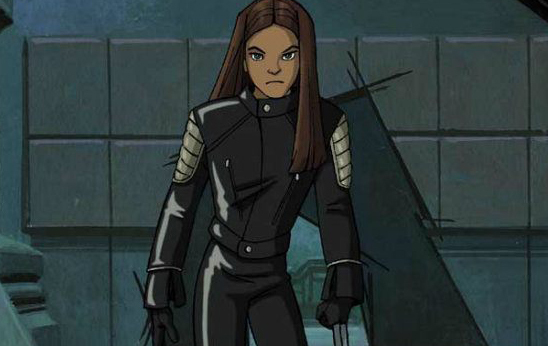 Introduced late in the 3rd season of X-Men: Evolution, X-23 was a clone of Wolverine engineered by HYDRA (yes, that one) as an assassin. At the time, she was created to be a younger version of the Wolverine character-as Evolution had most of the main X-Men cast aged to high school age save for Storm and Wolverine. 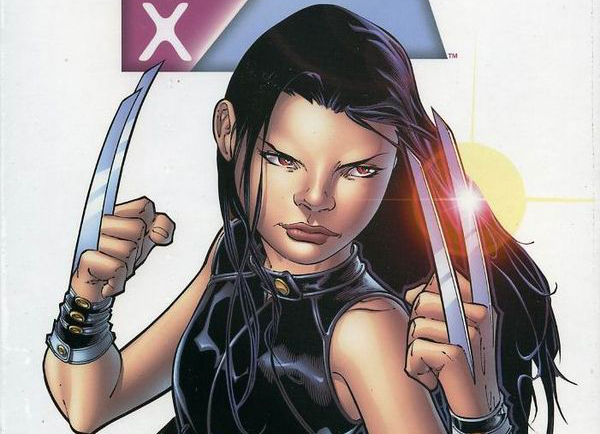 In her introductory episode, X-23 assaults the X-Men looking for Logan, blaming her for her pain. She only appears once more, in an episode where Logan teams up with her to turn on HYDRA. Created by show writer Christopher Yost, with the idea being that while Wolverine generally doesn’t retain his memories, X-23 carries hers like a weight. X-Men: Evolution ended six episodes after her second appearance. 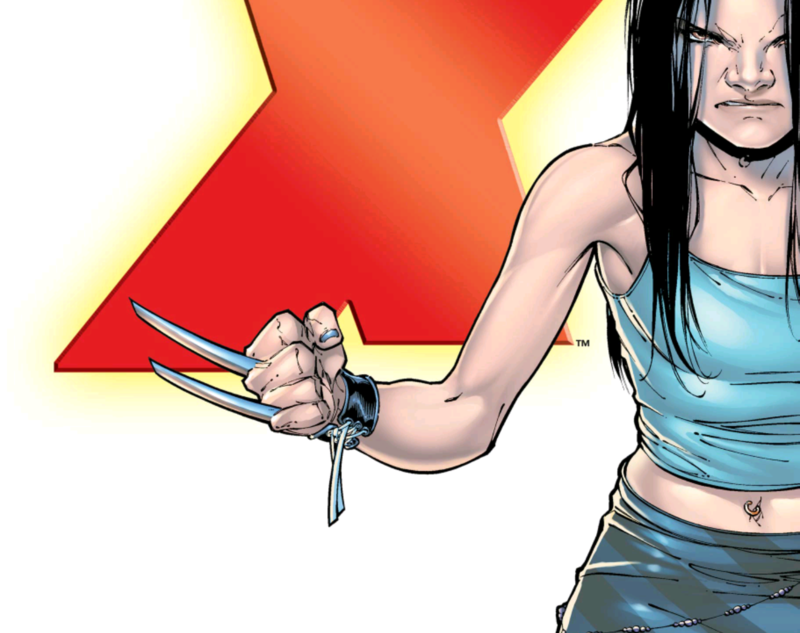 Christopher Yost went on to write two miniseries bringing X-23 into Marvel continuity and giving her a proper backstory. 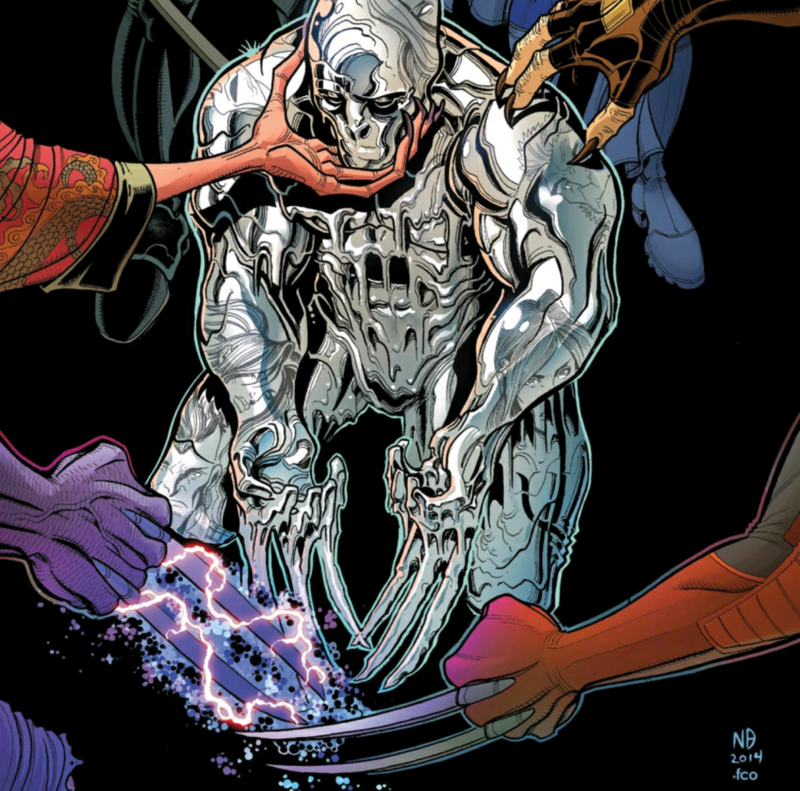 Removing the HYDRA element from the cartoon, the project that led to the creation of X-23 was an attempt to replicate the work that led to Wolverine gaining his adamantium skeleton. Working from a damaged sample, one of the project members, Dr. Sarah Kinney, created a female clone sample, but did so against orders by the project head Zander Rice. As punishment, Dr. Kinney carries the embryo to term. When the child is seven years old, Rice uses radiation to trigger X-23’s mutant gene, including her claws, which also grow out of her feet. 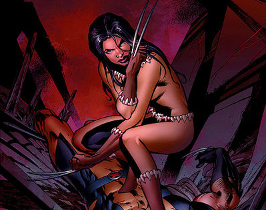 Rice has the claws forcibly removed and coated in adamantium before being returned, all while X-23 is left conscious. After this, X-23 is trained to enter a frenzy upon picking up a certain scent and raised as an assassin. When Dr. Kinney’s niece is kidnapped by a serial killer, she releases X-23 after the killer. X-23 successfully kills the kidnapper and saves the girl, but again this was done without permission from Rice. Due to this, Rice prepares to send Dr. Kinney away, first revealing that he plans to create dozens more clones. 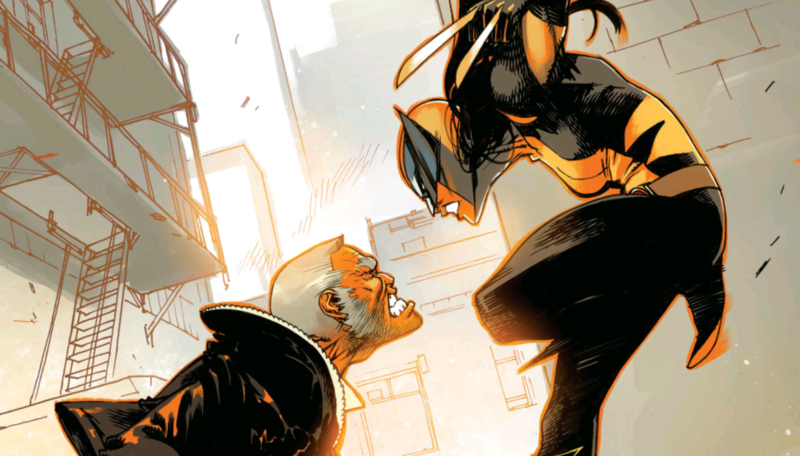 Deciding that Rice could not be allowed to do so, Dr. Kinney convinces X-23 to kill Rice so they can flee together. In a last act of vengeance, Rice tags Dr. Kinney with the scent meant to trigger frenzy. 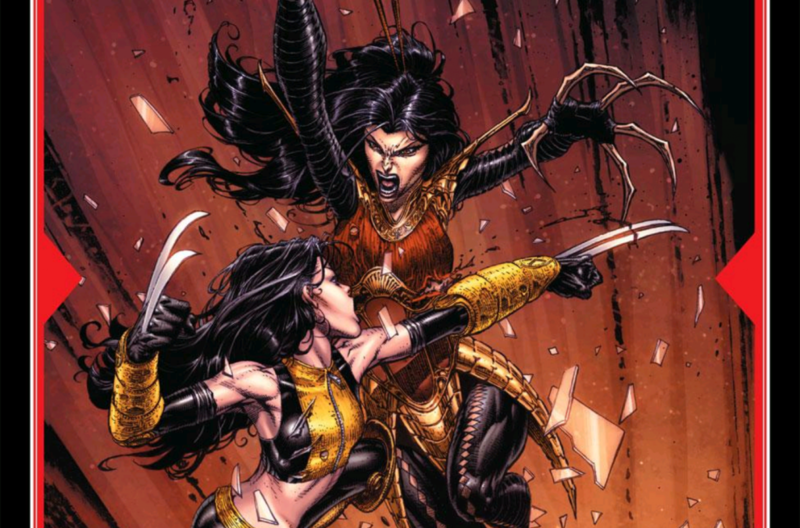 X-23 uncontrollably attacks her mother, coming to her senses only long enough for Dr. Kinney to tell X-23 she loves her and give her a proper name-Laura. Dr. Kinney had with her a goodbye letter including information on the Xavier Institute for Gifted Youngsters and a man known as Logan. Afterwards, Laura found her way to Dr. Kinney’s sister Debbie and her daughter Megan, who Laura saved previously. The organization who created X-23 locates her and tries to use the scent to get Laura to kill her family, but the operation fails and Laura is forced to get her family out and blow up the house with agents inside. Escaping, Laura storms the Xavier mansion and confronts Wolverine, who reveals that he also received a letter and is aware of Laura’s trauma. Laura is then detained by SHIELD (yes, that one) and Captain America, who Laura explains her story to, alongside Matt Murdock (a.k.a. Daredevil.) Matt believes the girl could not have controlled her actions. While Cap thinks she should atone for her crimes, he decides to release her, fearing SHIELD might try to utilize her as well. Sometime following those events, Laura reappears in New York City, not in control of her powers, mutilating herself and mostly mute. She is taken in by a pimp named Zebra Daddy, and is forced to work as a prostitute. After meeting some fellow mutants, Laura comes to her senses and escapes the prostitution life by killing Zebra Daddy. The less said about all this, the better. Laura takes a job waitressing, staying under the radar until she ends up defending the daughter of a mob boss who is harassed for dating a mutant. She kills the assailants, and the reporting of the deaths seems to implicate Logan, prompting an investigation by the X-Men and Wolverine. They encounter Laura, who reveals she was hiding the girl to protect her. Sometime later, she encounters the X-Men again and assists them in rescuing car crash victims. After this, Laura is finally recruited into the Xavier School. It is then revealed that this chain of events was orchestrated by Logan and Laura in an attempt to bring Laura to the X-Men without having to disclose her origins. Upon joining the team, Laura would go on to have various adventures with both Wolverine and the team as a whole: traveling to the Savage Land to prevent an enemy using Storm’s powers to destroy the world, teaming up with Spider-Man and creating their own version of the “Fastball Special,” and even temporarily serving as cosmic super hero Captain Universe. 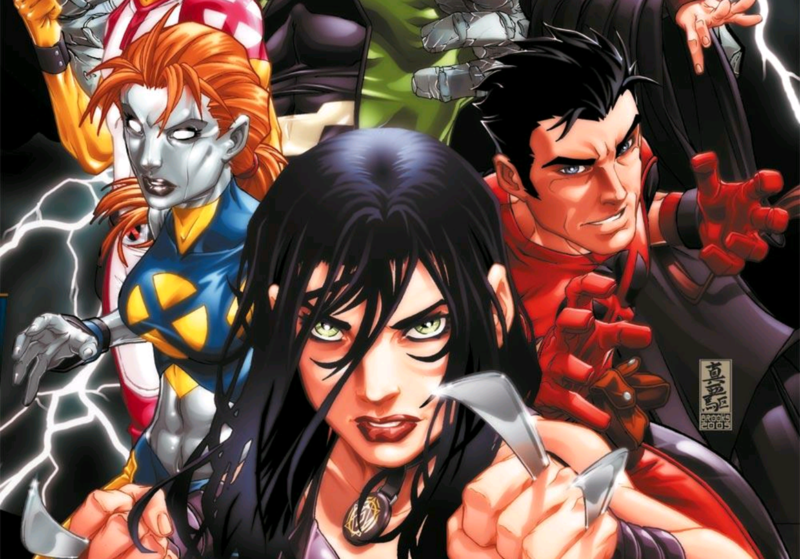 Following the events of Marvel’s line-wide crossover House of M, a majority of mutants lost their mutant gene and no more mutants were being born. Laura was one of 148 mutants worldwide to retain her abilities. With new threats arising, a new team of trainee X-Men are put together, with Emma Frost running trials to select members from the student body. Emma is opposed to Laura participating, but she forces her way into the trial and succeeds in earning a spot thanks to Cyclops pulling rank as team leader. As a member of the New X-Men, Laura would fight against religious zealots The Purifiers and the demon Belasco. All the while, Emma Frost continued to try to remove Laura from the school. The Facility that created X-23 would reemerge as well, capturing fellow mutant Mercury (who has properties like the element.) Laura would go on a rampage to find her along with another teammate Hellion. They eventually find that the Facility didn’t want Laura back but instead Mercury, whose abilities could be extracted to form the protectives skin of Predator X, a monster created to hunt mutants. Unable to stop Predator X, Laura and Hellion fall back, only to regroup with both their X-Men team and the core team. The two teams overcome the Facility. Later, a member of the Facility who served as Laura’s handler attempts to assassinate her, but Emma Frost wipes their memory and dispatches them to eliminate the remaining members of the Facility. Other adventures have the New X-Men facing down the Incredible Hulk when he returns from exile to another planet, and Laura experiencing genuine teenage angst when she develops unreciprocated feelings for Hellion. A new mutant is born for the first time since the events of House of M, sending the various factions of mutants and their enemies into a frenzy in an attempt to control the new mutant. Laura and the New X-Men tried to give their side an advantage by trying to upend the Purifiers but fail when they are attacked by another faction led by Lady Deathstrike. Hellion is gravely wounded and the New X-Men retreat. Cyclops decides the risks are worth the rewards and calls together a strike team from across the X-Men family called X-Force. 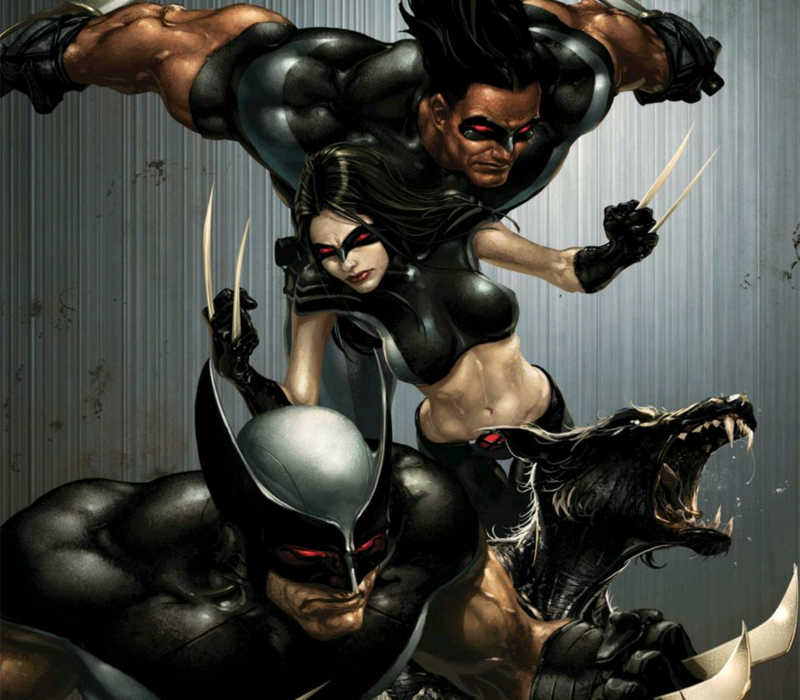 Laura is recruited, along with Wolverine, Caliban, and others. X-Force comes up against Lady Deathstrike again and Laura defeats and leaves her for dead. X-Force then joins the final battle for the child against Mr. Sinister and his forces, with Laura saving Wolverine’s life by killing a mutant capable of nullifying their abilities. After these events, Cyclops retains X-Force as a black-ops team to take on missions not suited for the superheroics of the other X-Men. While Wolverine is chosen to lead the team, Laura is recruited without Wolverine’s knowledge by Cyclops. Logan tries to persuade Laura to avoid this life, not wanting her to turn out like him, but she is adamant. The team’s first mission is a failure in large part to Laura refusing to work as a team, and results in one of their teammates being captured by the Purifiers. Laura is berated by Logan for her mishandling of the situation. It is also revealed that Laura does still mutilate herself with her claws. The X-Men as a collective decide to migrate from New York to San Francisco. Laura naturally accompanies. They are given refuge by the Mayor for rejecting the 50-State Initiative that was implemented after the Superhuman Civil War. The X-Men were prevented from participating in that conflict as a faction due to a power play by Tony Stark, prompting the move. On a mission requiring X-Force to travel to the future with Cable and the mutant from Messiah Complex (now named Hope Summers), Laura encounters a future version of one her friends met in NYX. This friend is being harvested to power a device keeping X-Force trapped in that timeline. Laura debates killing her friend despite their request to do so, but the decision is made without her by another team member, Domino. After helping the team stop a deadly mutant killing virus from being unleashed, Laura is taken in by the SHIELD replacement put in place following other Marvel universe events, called HAMMER. However, as it turns out, it was the Facility again trying to detain X-23. Laura’s former handler removes one of her arms to prevent her from being a threat (only Laura’s claws are adamantium.) An actual HAMMER agent familiar with Laura arrives and helps Laura escape, but the two become trapped in a room filled with tanks of the same scent previously used to turn X-23 feral. Laura cuts out the claws in her severed arm and gives them to the agent. Lighting a fire to trigger the sprinkler system and spray the scent all over the room, X-23 rages and kills the soldiers of the Facility before being clubbed by her handler. The agent finally kills the handler and escapes with Laura, returning her, along with her severed claws, to the X-Men. Some time after those events, Laura temporarily reunites with her friends made in NYX. There still shouldn’t be much said about NYX. Following another time travel mission that resulted in the death of Cable (don’t worry, he gets better), Wolverine cuts X-23 from X-Force, instead suggesting she finally start making her path instead of taking orders. At first, Laura tries to return to her former team, but some members have reservations about working with a former member of X-Force. Because of this, Cyclops suggests that Laura travel to a San Francisco halfway house for mutants looking to return to civilian life. This doesn’t last long, as it is revealed that Laura is haunted by some sort of demon, who leaves a mark on her and destroys the halfway house before she manages to push back. The X-Men want to take Laura back and study this event further, but Gambit of all people convinces the team that Laura should try to sort this out on her own. Gambit offers to tag along where she wants to go as a support. During these events, it is revealed that Logan did in fact adopt Laura as his daughter. Now traveling with Gambit, the two encounter a woman named Claudette, who is currently playing host to the spirit of Mr. Sinister. Claudette studies cloning, but it is quickly revealed she engineered a trap for Gambit and Laura, in an attempt to steal Laura’s body and healing factor. The plan fails and the two escape with the clones, helping the clones find homes to lead a normal life. Discovering that a new revival of the Weapon X project has begun, Laura and Gambit track the project’s director, Malcolm Colcord, to Madripoor. There, they discover Colcord is working with Daken, the son of Wolverine. Deciding Daken is the best way in, the pair team with a local mutant and set a trap for Daken, which he falls into. After being battled to stalemate with Laura, Daken seems to offer help, which is refused by Laura. Later, they track Daken to a meeting with Colcord, but it is revealed the entire event was another set up in order to capture X-23 for study. She is kidnapped and Gambit is left behind. Laura is taken to a hidden facility, along with a procured sample of the scent trigger. Scientists plan on experimenting on Laura, but Daken tags them with the scent and frees Laura. After Laura kills everyone in the room and fights Daken, she comes to her sense and finds out that Daken possess all the research done on her in the Facility. Daken reveals that he was using Colcord to learn more about X-23 and Weapon X. Working together, Wolverine’s children put an end to the facility and Colcord before going separate ways, Laura returning to Gambit. They then find out someone else has purchased the scent trigger and proceed to track that person. This tracking takes the pair to Paris, where Gambit discovers Laura’s cutting problem. He decides to call in Logan to talk to his daughter. Bringing Jubilee, who is a vampire now (don’t ask), Logan reveals his desire to try and rectify his mistakes in caring for both. Jubilee and Laura bond over their shared issues of possessing violent natures. Gambit discovers the scent is being sold in a black market auction, and go to retrieve it. 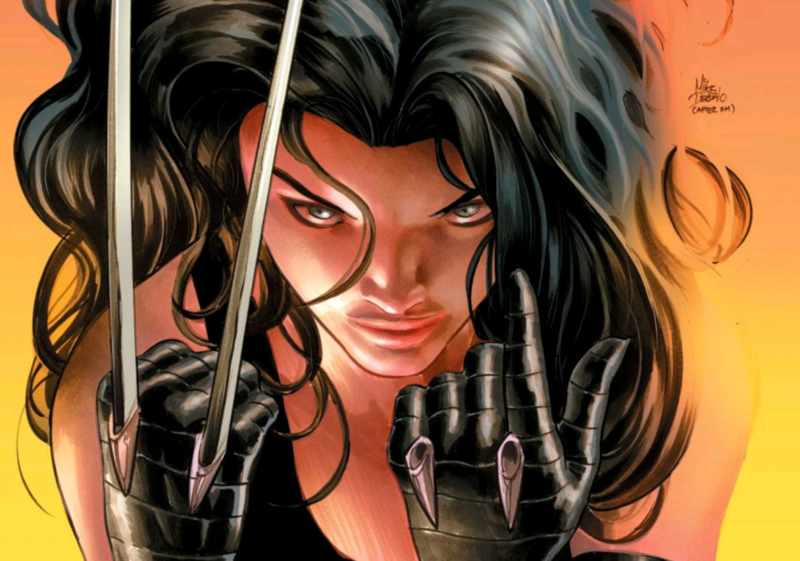 When X-23 is revealed, the scent is released, with the revelation that it has now been modified to affect anyone, but leaves a very special effect on Laura. Going feral, Jubilee tries to detain Laura and is almost killed, but she and Gambit manage to get through to Laura and she consciously breaks free from the scent’s influence. Returning to New York, Laura begins to have visions again regarding the mark on her hand. While Gambit is off taking care of his own needs, Laura goes to locate a local professor who may be able to help. On the way, she sees another symbol appear in the sky, followed by an earthquake. Spider-Man arrives on the scene, and the two once again team up to help civilians. Spidey reveals he too has been dreaming of the symbols. The two are approached by the Fantastic Four, and together all discover that these symbols are being seen by people who have interacted with the power of Captain Universe using a special device. The device takes them to an alien planet of warriors, but Laura bonds with cosmic power again to put an end to the attack. After the events of the symbols, Reed and Sue Richards ask Laura to help watch their two children, giving her a space to finally reflect on her life. While doing so, she ends up on an interdimensional adventure with the Richards children, as they unleash a dragon. Hellion tracks Laura down and tries to start a relationship, but Laura’s feelings have passed. Jubilee also reaches out to Laura, revealing that Wolverine and Cyclops have finally come to blows and the X-Men will have to choose what philosophy to follow. Naturally, Laura sides with her father, but spends one night out on the town with Jubilee, who will be joining the Cyclops side of the schism. They encounter the man who took over the prostitution ring from NYX and work to break it up and free the girls. SHIELD arrives and Laura is offered membership to Avengers Academy by Black Widow. After a heart-to-heart with Logan, who apologizes for not being better, Laura departs for Avengers Academy. While in the Academy, Laura tries to bond with some of her classmates, particularly a superhuman named Finesse. The two bond due to mutual apathy. 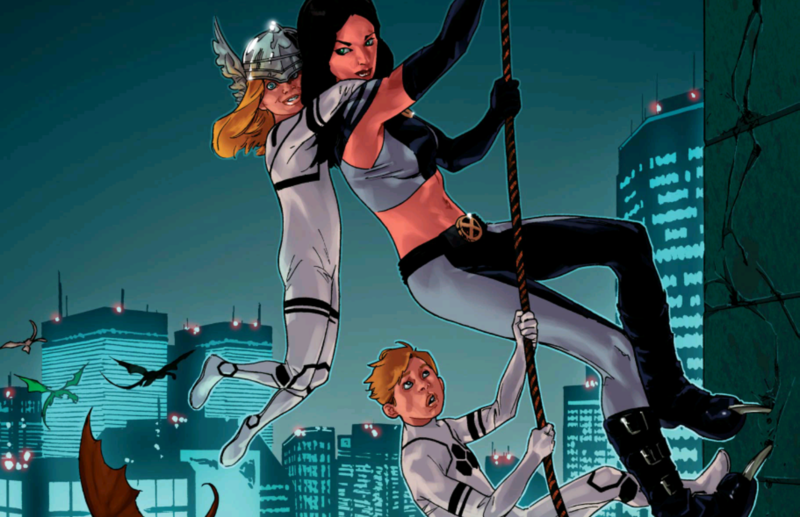 The Academy is put on lockdown during the Avengers Vs. X-Men conflict, so Laura does not participate in those events. When another enemy tries to acid burn her, Finesse kills them, but allows Laura to believe it was her. Devastated upon learning the truth, Laura breaks off her friendship with Finesse, but chooses not to turn her in. Members of the Academy are abducted by the super-villain Arcade and pitted against other younger heroes in deadly combat. During these events, Arcade unleashes the scent trigger, and Laura briefly goes feral on some of the other heroes. In her various battles, Laura is heavily poisoned and wounded, but does escape with the other survivors. The other survivors banded together to take revenge on those responsible for Arcade’s game-The Masters Of Evil. For an unexplained reason, Laura does not join them. Laura reappears in All-New X-Men, located by Kitty Pryde as Laura is fleeing the Purifiers. It appears she has lost some of her memories and is collected by Kitty and her team of time-traveled classic X-Men to recover. With her memories returning, Laura attempts to escape but is dissuaded by the younger Cyclops, and it is indicated he may be developing a crush on her. The younger Jean Grey also reads Laura’s mind and discovers the events of Avengers Area. Laura convinces the team to help her fight back against the purifiers, but are defeated. Laura decides to continue working with the team and even strikes up a relationship with the younger version of mutant Angel. While Laura was with the All-New X-Men, Wolverine contracted a virus from the Microverse that was capable of disabling his healing factor. Accepting this, Wolverine ends up investigating a hit taken out on his life that leads to him facing off against the originator of the Weapon X program. Finally killing him, Wolverine also prevents the creation of more adamantium infused beings by slashing the tubes of the systems, but as a result is encased in the adamantium and dies. Remaining test subjects from survived but were programed to die quickly, and they try to use one of their powers to steal healing factors from similar mutants. Laura’s is stolen as a result of this, but after the events of the Secret Wars event, regains them. Following the reality warping events of Secret Wars, Laura decides to take on her father’s mantle and iconic costume, becoming the canonical Wolverine. She is still in a relationship with Angel and the two travel together. Since taking on the title, she has had to investigate her own clones being sent out as assassins, who she eventually takes under her wing as sisters. While not a participant, she was aware of the events of the Superhuman Civil War, choosing to avoid the conflict out of fear of the outcome’s impact on those close to her. While a Logan from an alternate reality is roaming around and they have crossed paths, Marvel intends to keep Laura in the costume for the time being. Given Logan’s positive reviews, good financial tracking, and a star-making performance, there is a good reason to believe that we’ll only be seeing more of Laura Kinney, and not just in the comic books. I think it goes a long way to be able to say to a wide audience: “Hey, that girl is actually Wolverine in the comics!” Marvel would be remiss to not capitalize on that as much as possible. Previous ArticleEmerald City Season 1 Finale Review: "No Place Like Home"